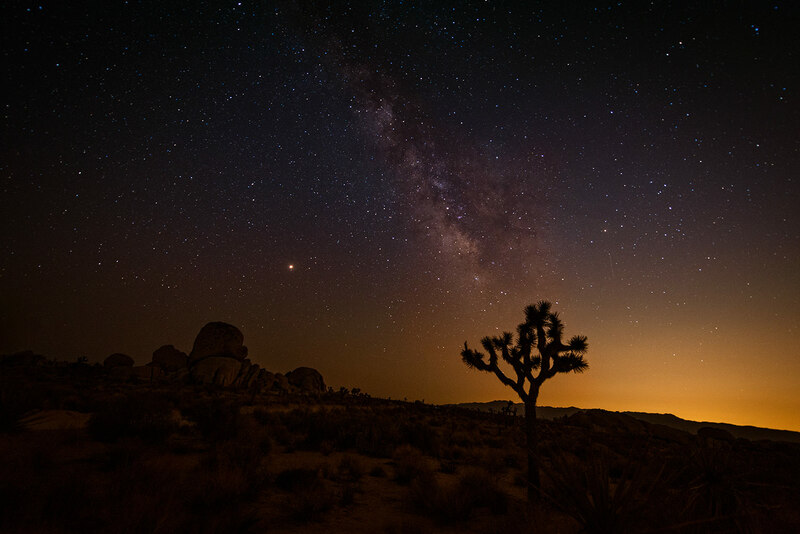 Photographing the Milky Way is not as difficult as many think. We were often asked do you really see that many clusters of stars at night? The Answer is YES. The only advice we give is to pick a place where there is minimal to no light pollution which is often in the middle of nowhere. If you want to experience something that is beyond the world you will have to do some work to get that excitement, nothing comes free. 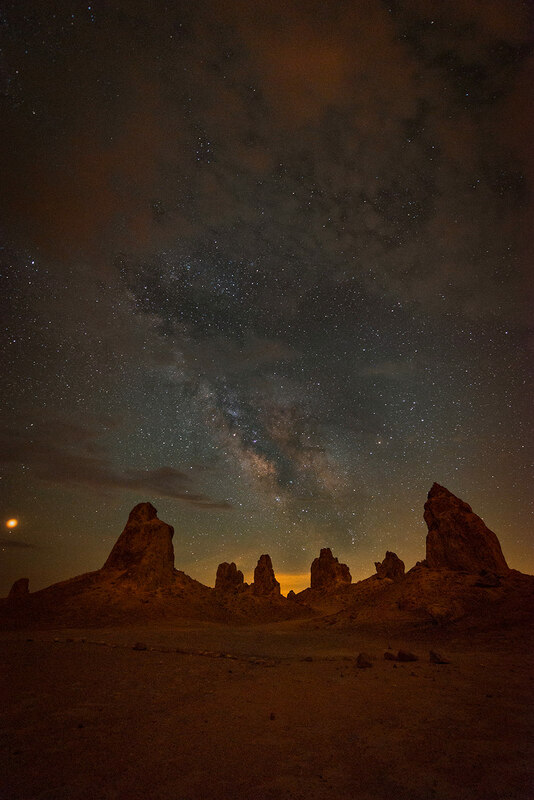 We often hear others say that you need top of the line camera gear to capture the Milky Way. And we always say that it’s not the gear it’s the person behind the gear. Below we try to give some pointers hopefully will inspire you to get out and try your luck with the gear you have. Also, there are few things that you absolutely needed if you wish to capture Milky Way. Astrophotography does not need all that much equipment, and most likely you might already have almost all the items you need listed below. Whenever we go out for astrophotography we usually pack lite and tend to carry only the items we need and try to work with what we have. The idea is the simpler the kit the less you will have to worry about. So here are the basic essentials with few additional items we recommend. Most of you reading this already has either a DSLR (Digital SLR) or an ILC (Interchangeable Lens Camera) camera bodies. The camera is the most expensive piece of kit you need for Astro aside from a lens. If you have not already invested and thinking about it and depending on your budget you can either go for a Full Frame or an APS-C or even a micro 4/3rd sensor size cameras. In today’s digital world brand does not matter at all that much. Choose the brand that you feel comfortable with. These days almost all the named brands you name it Canon, Nikon, Sony, Fuji, Pentax, Olympus, Samsung etc., in the market make excellent cameras. We recommend a good camera with a tilt screen with a live display so that it will be easy for you to see the screen and shoot when using low to the ground. The easiest way to capture the Milky Way is using a wide angle lens even better an ultra wide which will allow you to compose a large portion of the sky in the image. The general recommendation is if you are shooting with Full Frame cameras any range between 12 to 35mm lens or less will be an ideal choice. If you are shooting with an APS-C camera stick to a focal length 24mm or shorter. You get the idea the wider the better. The other important point to consider while choosing your lens is the F stops the faster/ brighter the f-number the better the chances of getting a good or decent image. We usually recommend any lens that is 2.8 or brighter the reason behind this is remember you will be shooting in pitch dark conditions so your camera and lens should be able to capture as much light as possible. If you only have the standard kit lens that came with your camera don’t feel bad you can still work with the camera just use the widest your lens can go and the brightest your f stops can get and then you can get creative with your composition techniques. The third and the most important piece of gear that you should consider investing is a good and steady tripod. It’s not only for astrophotography tripod will help and open several opportunities to take pictures during sunrise or sunset. So consider tripod as an investment and don’t go cheapskate on the tripod remember you are going to mount your expensive camera on this. The steady the tripod the better as this will help to reduce any vibration to the camera due to other natural factors. We recommend getting a good carbon fiber tripod with a decent ball head that way its liter and portable. The tripod that I have and use is almost 10 years old so that should say it that its an investment. Another important piece of gear that I would strongly recommend getting is a Remote shutter. This will help you to make exposures that are longer than 30 seconds and do time-lapse sequence also help reduce camera shake when you are taking the picture. You can easily pick up one from $20 bucks to $150 bucks. Just make sure it works for your camera model. Another important piece of gear that you should have is a headlamp or a flashlight that you can clamp to your hat, remember that you will be working in pitch dark. So definitely pick up a decent headlamp that is bright enough and make sure it has a night vision mode usually the red light some comes as blue anything works and the SOS the blinking light in case of an emergency. Having a headlamp will free up your hands to handle your camera in the dark condition. You can also use the headlamp to find the buttons in the camera or set focus or sometimes to lit an interesting foreground. Also, you will need it to avoid all nightlife critters and or to avoid tripping over a bush or rocks. The items listed above are generally a must have for astrophotography. But there are a few more things that are always good to have but you can still work without them. If you want to take your Astro Photography to the next level get yourself a Star Tracker to track not just the Milky Way, you can track planets and other galaxies. We recommend getting a good Star Finding App for your mobile phone that way you can find when the Milky Way will be above a certain spot or above the horizon and plan your photography accordingly. Also a trail tracker will always come in handy when you are parked further away from the photograph location. It’s always good to have an all-weather jacket and gloves as you can not predict where you will be at your destination or how the weather pattern will be. So keep some good jacket and glove to keep yourself warm and protect yourself from what mother nature throws at you. Since you will be spending a lot of time in the middle of nowhere waiting for the perfect moment or the Milky Way to come above the horizon you will need to sit somewhere and be comfortable. A good camping gear like a sleeping bag and tent will also help. A good collection of music that you like to keep yourself entertained if you are by yourself or a small boom box if you are in a group so that everyone can enjoy the wait time. Always carry plenty of water and some food to keep yourself hydrated and your stomach filled. Your brain will work much better when you are not hungry. Also, it’s advised to always carry a first aid kit in case of any emergencies. Nice and very useful article, Nazeem! Thanks for the many tips! !